LISTED BELOW ARE EXAMPLES OF THE PRODUCTS THAT WE CARRY! 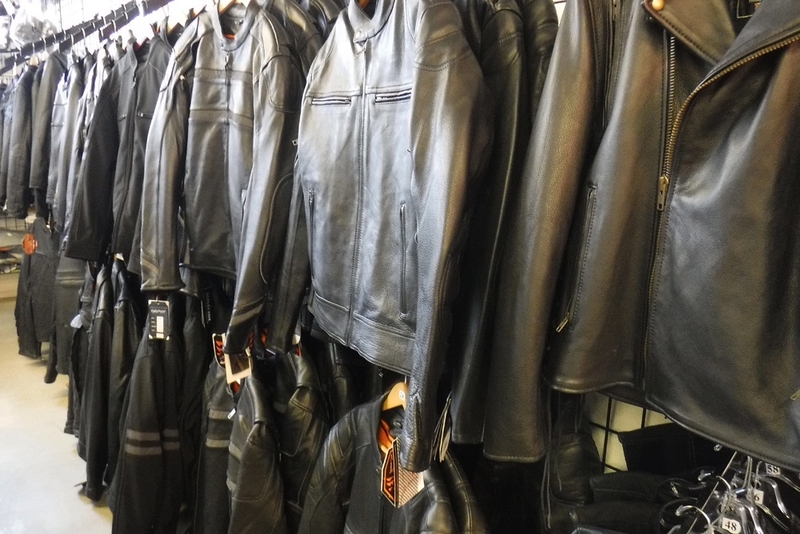 Leather and textile with: armor, reflective features, concealed carry, tall sizes and much more! 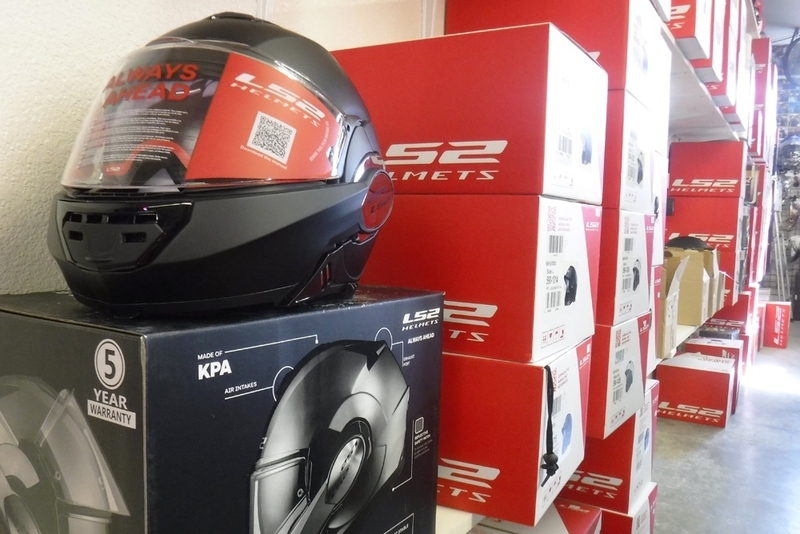 Half helmets, three-quarter, full-face, modular full-face, low profile, drop down sun visor, vented, DOT Rated, ECE Rated! All full-grain leather. 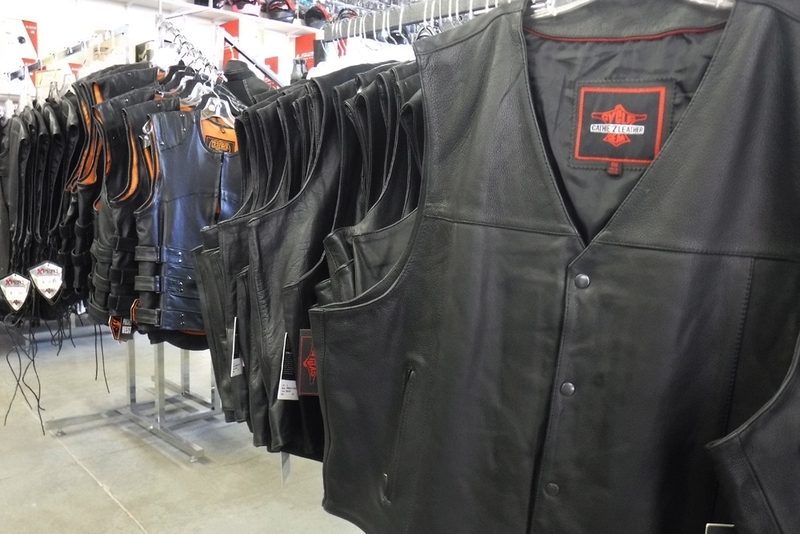 Styles include: basic plain, braided trim, 4-pocket, beltless, fringed, vented, reflective, and much more! 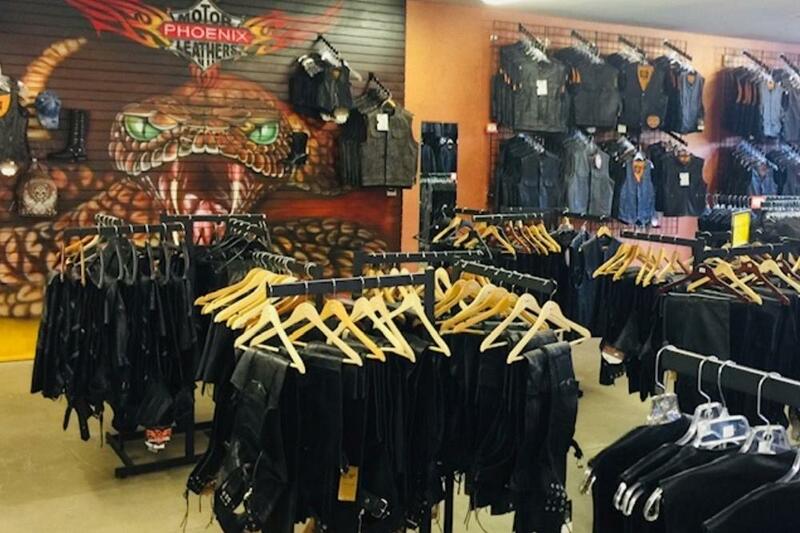 Leather and Denim styles with: snap closure, snap and zipper closure, zipper closure, armored back, fringed, plain, 4-pocket, 10-pocket, side lace, concealed carry, and much more! *Kids vests available! 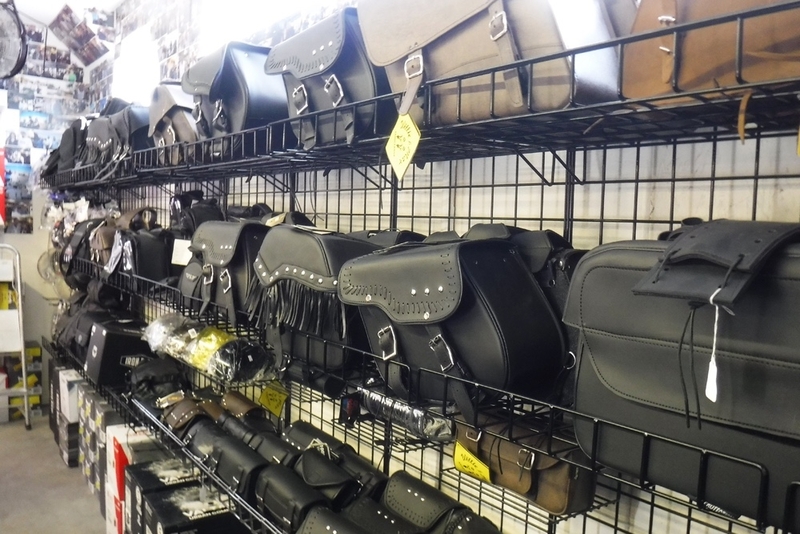 Saddle bags, tool bags, magnetic tank bags, windshield bags, and much more! 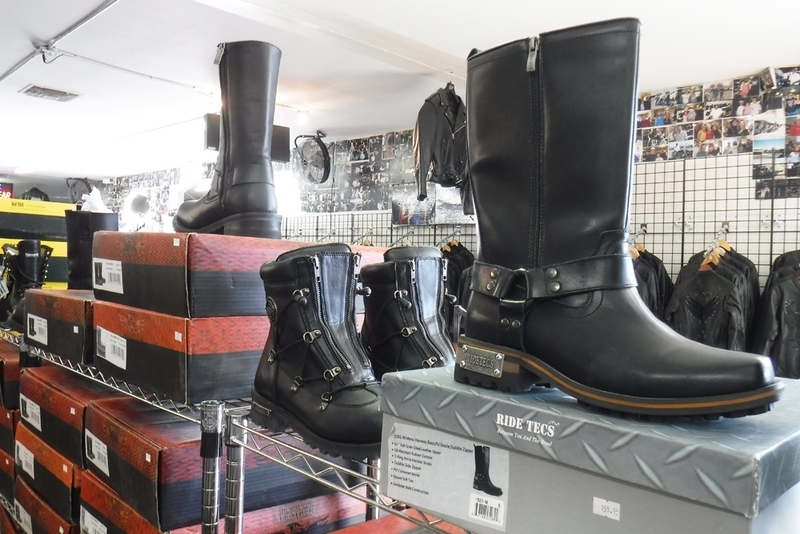 Styles include: harness, round toe, zipper/easy in & out, zipper and laces, logger, high-heeled, tall w/adjustable calf width, and much more! 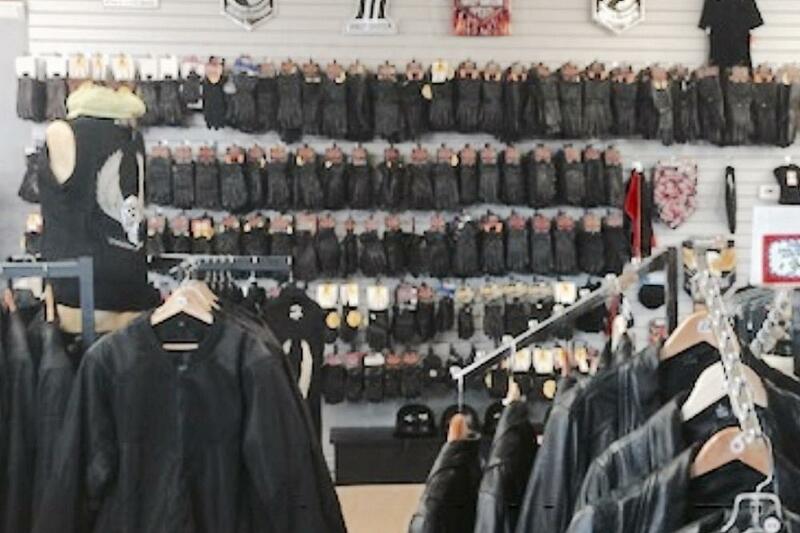 Styles include: winter gauntlets, waterproof, deerskin, cowhide, fingerless, hard knuckle, and much more! 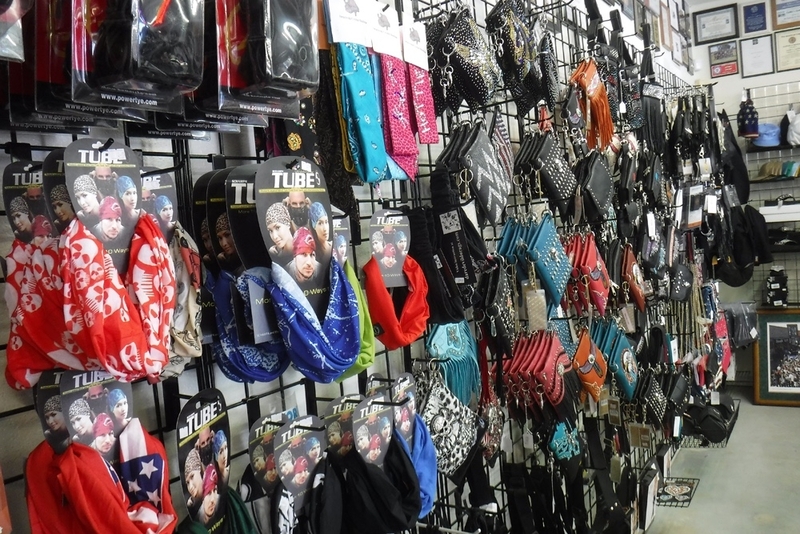 Stainless steel rings, stainless steel primary chain bracelets, fashion crystal jewelry, ladies handbags, sunglasses, goggles,padded sunglasses, transition glasses, boot chains, hair ties, vest chains, wallets, vest patches, and much more!